We’ve got lots of exciting events coming up for storymakers of all ages. Whether you’d like to take up a fun new hobby, or you and your kids are looking for ways to help each other reduce stress, we’ve got got you covered! Are you looking for a new hobby? Have you always been just a little bit jealous of kids who colour? Come to our Adult Colouring and Wine night on Tuesday, November 10 from 7-9 p.m. and break the taboo! We’ve received a lot of interest in this event, so please email Liz at liz@storyplanet.ca with “COLOURING” in the subject line to RSVP. During Breath in & Shine, a 5-week mindfulness workshop for children and their families, clinical social worker, Sara Marlowe will teach child-friendly mindfulness exercises for families to practice together at home. This event will run on Saturdays from 2-3 p.m. starting November 14. The cost of this workshop (which includes art materials, a mindfulness activity booklet, and a copy of the Sarah’s book, No Ordinary Apple: A Story about Eating Mindfully) starts at $160 for one child and up to two parents. Our next Story Planet Afterlight Book Club meeting is coming up soon! 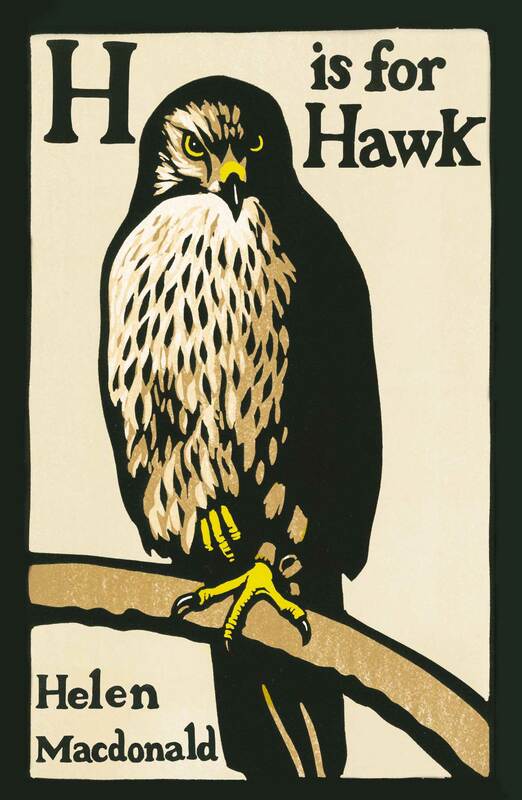 Next Wednesday (November 4), we’ll be discussing H is for Hawk by Helen Macdonald. Don’t have time to read the book in time for the meeting? Check out our SP Afterlight Book Club Meetup page to find out what books are coming up! With Thanksgiving behind us and Halloween well on its way, we thought we’d let you know about the events we have planned for November. That way, you have lots of time to read the book for our monthly Story Planet Afterlight Book Club meeting and sharpen your colouring pencils for our upcoming Adult Colouring and Wine event. What fun! On Saturday, October 24th, join the Atomatons to do some lightning round app testing. Participants will work in small groups and test the created app for 30-45 minutes at a time. We’re looking for kids who can offer some creative feedback and have a blast experimenting with technology. The workshop runs from 10am-1pm. Contact Liz at liz@storyplanet.ca to get involved! On November 4, our Story Planet Afterlight Book Club will be discussing the New York Times bestseller, H is for Hawk by Helen Macdonald. In this sad, yet humorous memoir, Macdonald takes you on an incredibly emotional journey as she grieves the sudden death of her father while raising her new hawk, Mabel. As always, everyone is welcome to join the Story Planet Afterlight Book Club. The meeting will be held at Story Planet at 6:30 p.m. on Wednesday, November 4. Follow this link to RSVP to our Meetup event page! We’re starting a 5-part mindfulness workshop for kids aged 6-8 and their families on November 14. During Breath In & Shine, clinical social worker Sara Marlowe will teach child-friendly mindfulness exercises for families to practice together at home to reduce stress and be able to better address strong feelings of anxiety, anger, and frustration. This event will run on Saturdays from 2-3 p.m. from November 14 to December 12. The cost (which includes art materials, a mindfulness activity booklet, and a copy of the Sarah’s book, No Ordinary Apple: A Story about Eating Mindfully) of this workshop starts at $160 for one child and up to two parents. Good news! 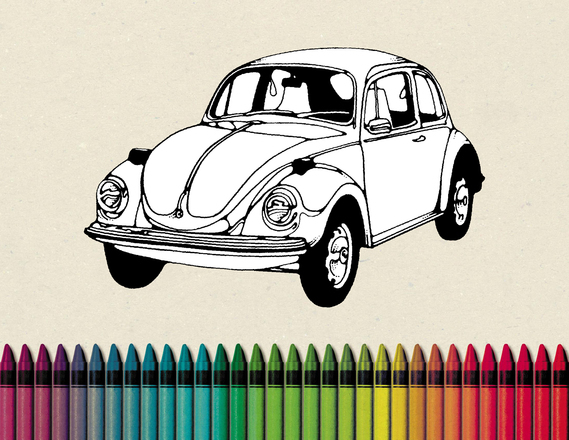 Colouring isn’t just for kids anymore! Join us for Adult Colouring and Wine at 7 p.m. on November 10 and reconnect with your creative side. We’ll have lots of colouring pages and art supplies, but you’re welcome to bring your own. We’ll also have lots of adult colouring books and supplies for sale if you feel inspired to make this into a regular hobby. The cost of this event is pay-what-you-can and, as promised, we’ll be serving wine. If you have any questions or would like to RSVP to this event, email Naomi at naomi@storyplanet.ca. Thank you to everyone who came out to our Afterlight Book Club meeting last week to discuss The Girls by Lori Lansens. We had so much fun chatting with you all! If you missed last week’s meeting, we’ll be hosting another one on Wednesday, November 4. Don’t forget to RSVP on our Meetup page and keep checking back to find out about future events! Our Twisting the Folktale storytelling workshop for kids in grades 4-6 starts this Saturday! Students are invited to join storyteller Sage Tyrtle in twisting their favourite folktales into original stories that’ll be performed in front of an audience. 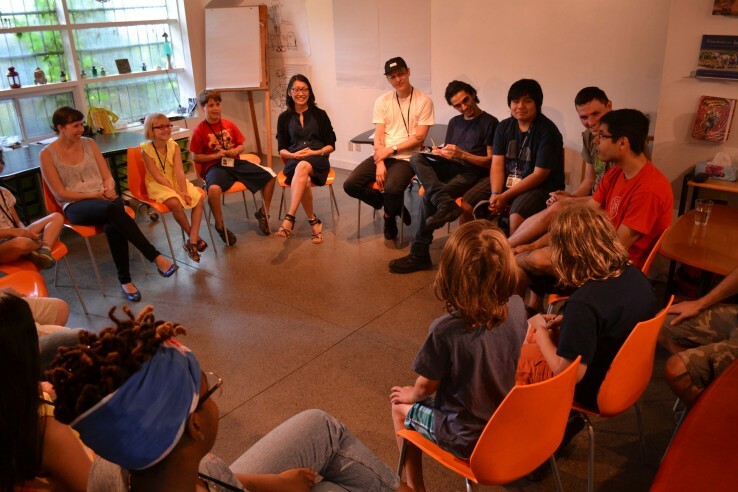 They’ll play fun and high-energy games, and learn about storytelling and editing, and how to connect with their audience. This workshop will run every Saturday from October 17 to December 5. The cost is pay way you can. Contact Sage at sagetyrtle@gmail.com to sign up! We’ve got a lot of exciting events and workshops coming up in the next few weeks for storytellers of all ages. Our Afterlight Book Club meets this Wednesday, and then, starting Saturday, October 17, kids in grades 4-6 are invited to our 8-part Saturday Storytelling Workshop, twisting beloved folktales. Keep clicking back to our blog and Calendar page to find out about more upcoming events! Attention, speed-readers! Our Afterlight Book Club meets this Wednesday at 6:30 p.m. to discuss The Girls by Lori Lansens, a story that follows the lives of two conjoined sisters from Leaford, Ontario. Come by, grab a snack at the Intergalactic Travel Authority, and talk books with us! If you can’t make it to this one, get a head start on next month’s book, H is for Hawk by Helen Macdonald, and click here to find out more about the event! Starting October 17, kids in grades 4-6 are invited to join storyteller Sage Tyrtle in twisting their favourite folktales into original stories that they’ll eventually perform in front of an audience. Through fun and high-energy games and lessons on storytelling and editing, students will learn a whole new approach to storytelling and connecting with their audience. This workshop will run every Saturday from October 17 to December 5 from 10:00-11:30 a.m. Cost of registration is pay-what-you-can. Contact Sage at sagetyrtle@gmail.com to sign up! We’ve got a bunch of new snacks available at the Intergalactic Travel Authority (the café in the front half of our space). Whether you’re more in the mood for a breakfast focaccia or a chicken/veggie empanada, we’ve got the perfect one-handed snack to fuel your creative endeavors! Our appstronaut team met back up recently to test out their ongoing app design project. With the help of two new team members, they brainstormed ideas for improvements they could make and wrote the following story as a team using the app. How cool! Thanks for sharing, Appstronauts. Once upon a time Gregory, the cheerful monkey with eleven children was riding an SUV with eleven seats for his eleven children (twelve seats, including the driver’s seat). They were going on a mission to find McDonalds and eat big macs before the tomato/carrots ate them ALL. They couldn’t find any McDonalds restaurants. They drove around looking, and by the time they found one, the tomatoes/carrots had eaten all the big macs. So they went to the trunk of their car and grabbed out their police uniforms and batons and handcuffs and then they arrested the tomatoes/carrots and put them in jail for one MILLION years!!!!!!!!! !